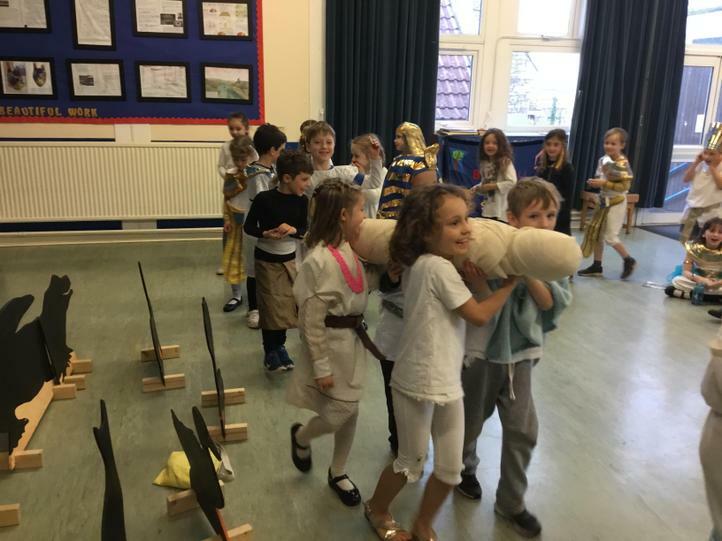 3AJ have taken part in some really exciting and interesting Ancient Egyptian activities this term! 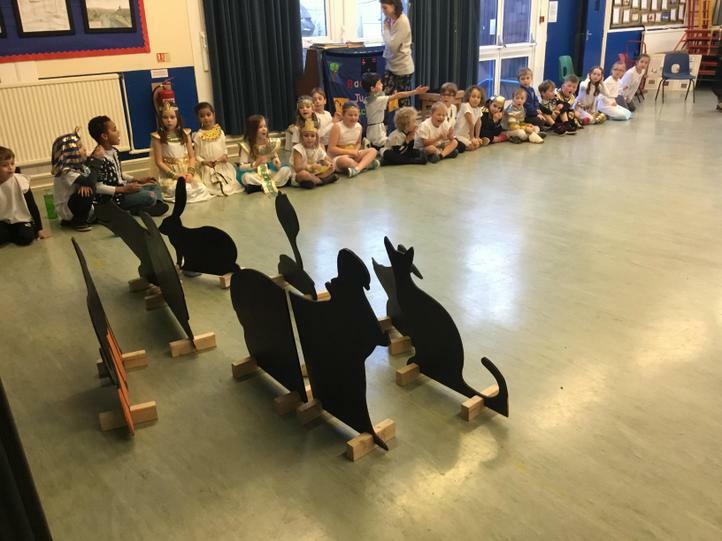 3AJ really enjoyed rehearsing and performing their class assembly. 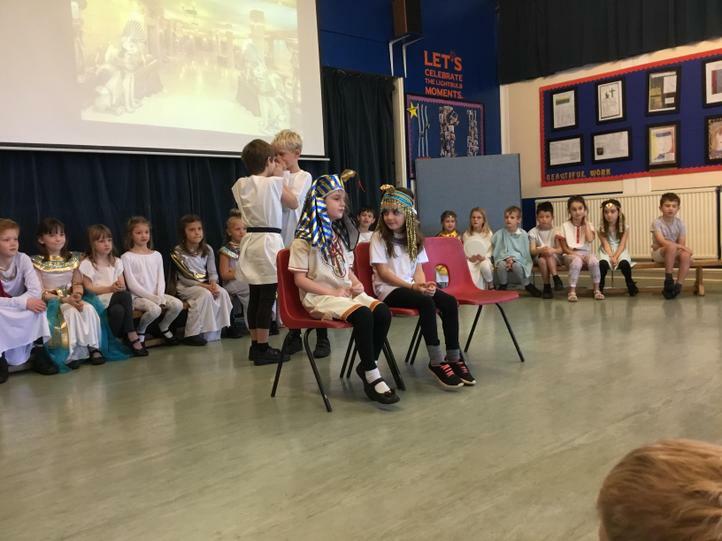 The assembly was based around the Nile. 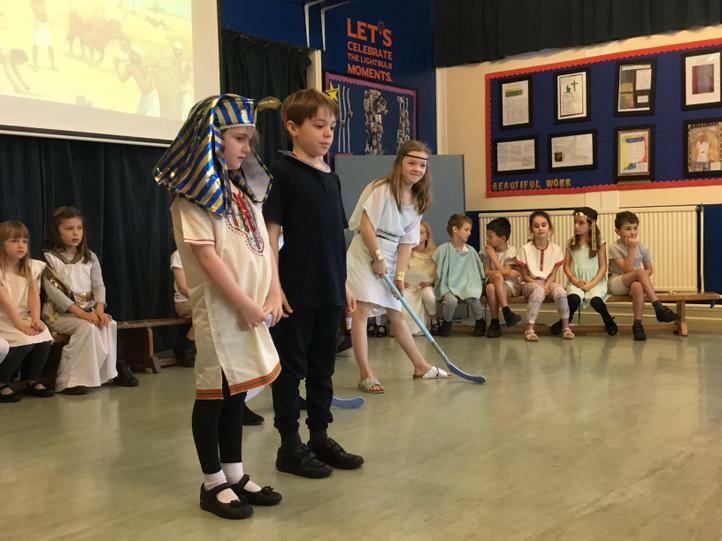 An angry Pharaoh had decided to close the Nile for himself! 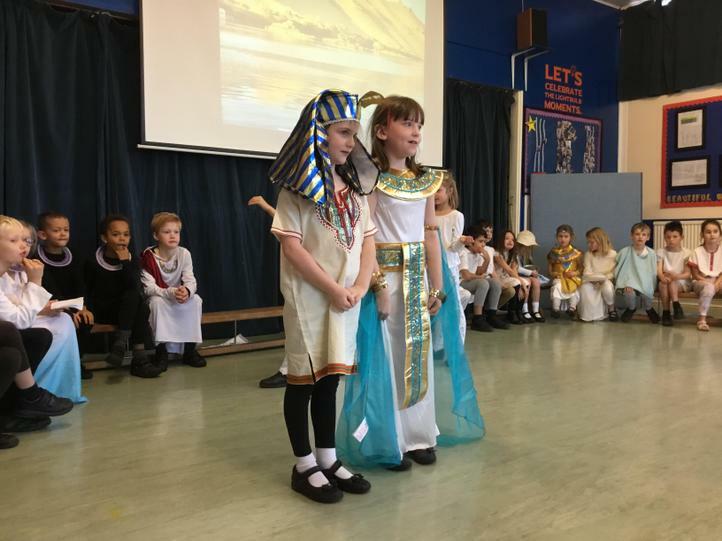 Luckily, the Pharaoh was visited in the night by the Gods of Ancient Egypt and they managed to persuade him to change his mind! 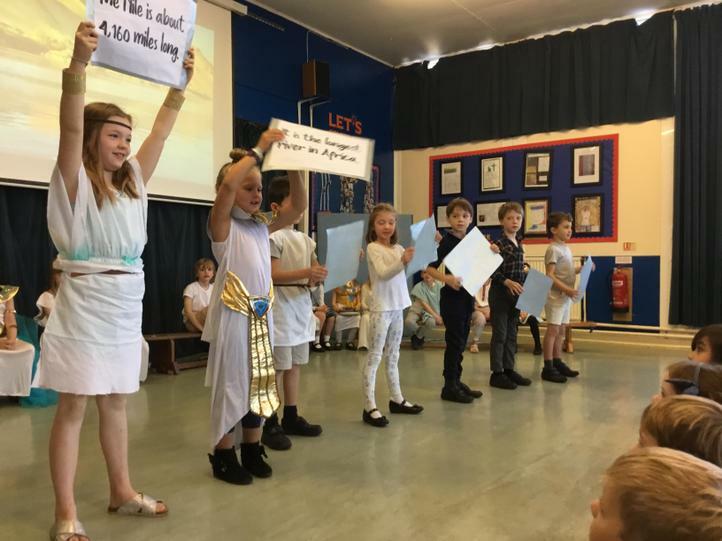 The Nile was important for drinking, washing, growing crops, building, travel and trade so it is a good thing Pharaoh changed his mind! 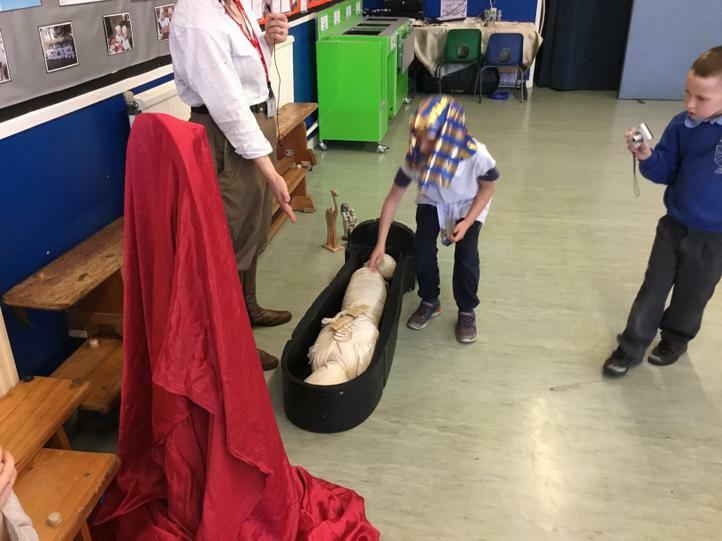 3AJ learnt all about the mummification process and how it helped to preserve the bodies of Egyptians. 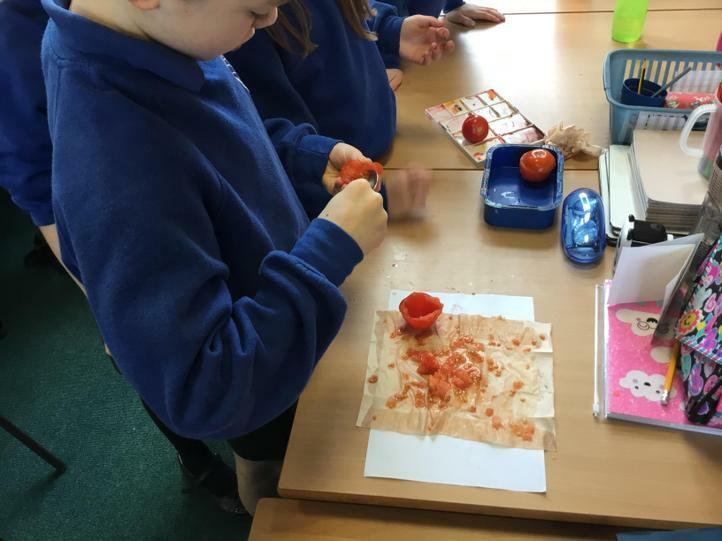 Based on their understanding, 3AJ made predictions about what would happen to 3 different tomatoes when left on a window ledge. 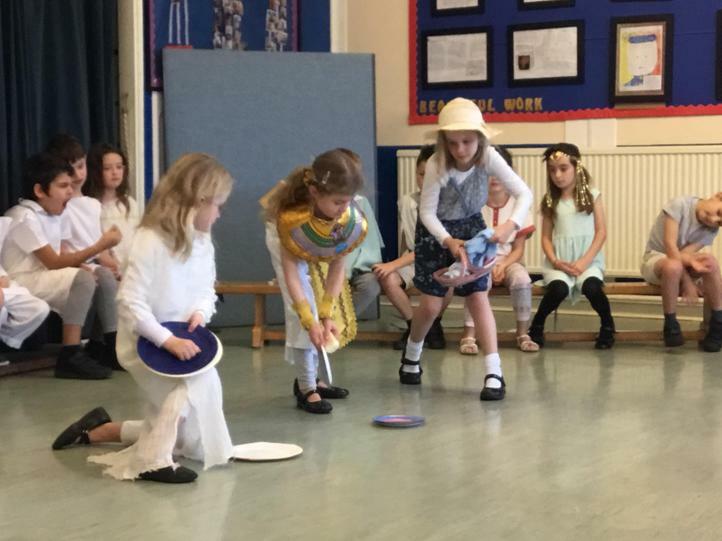 Tomato 1 was left alone! 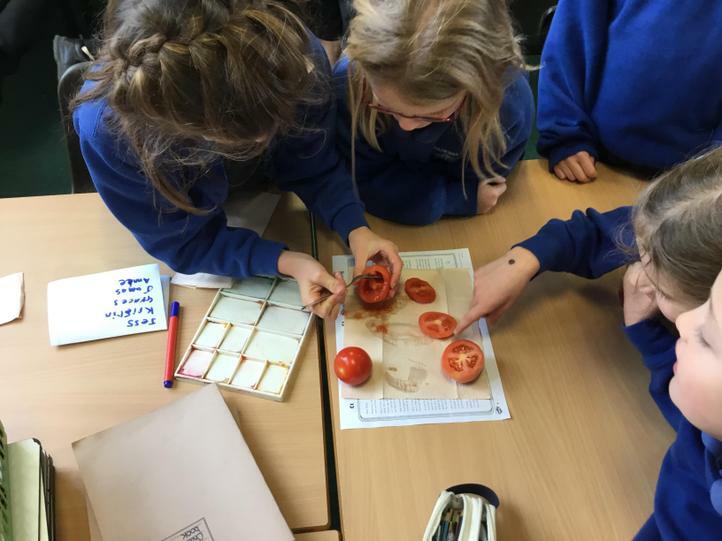 Tomato 2 had the insides scooped out! 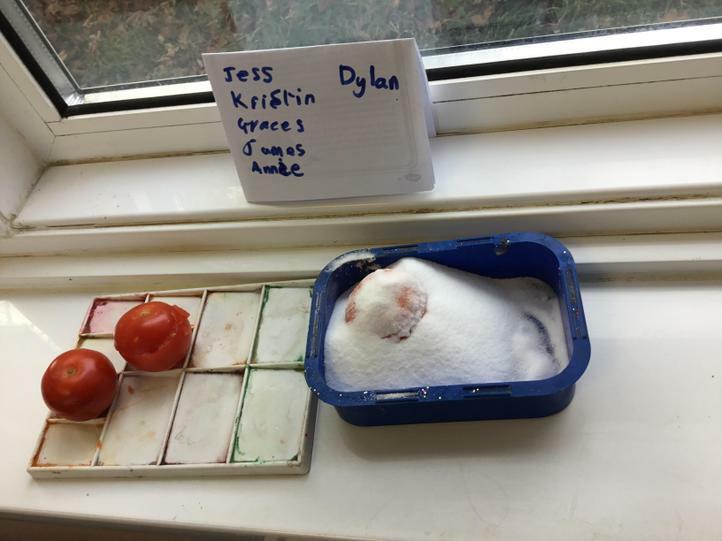 Tomato 3 had the inside scooped out and it was packed with salt! 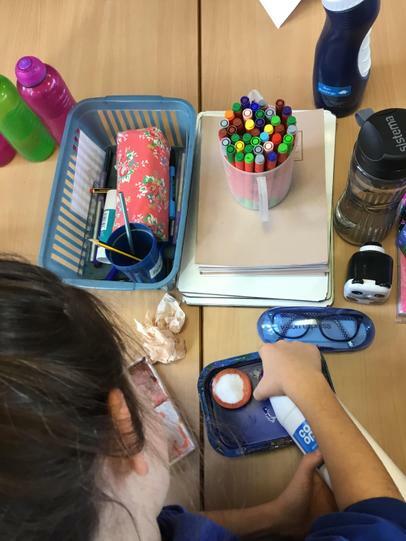 The results were rather squidgy, mouldy and messy but they were exactly what we expected. 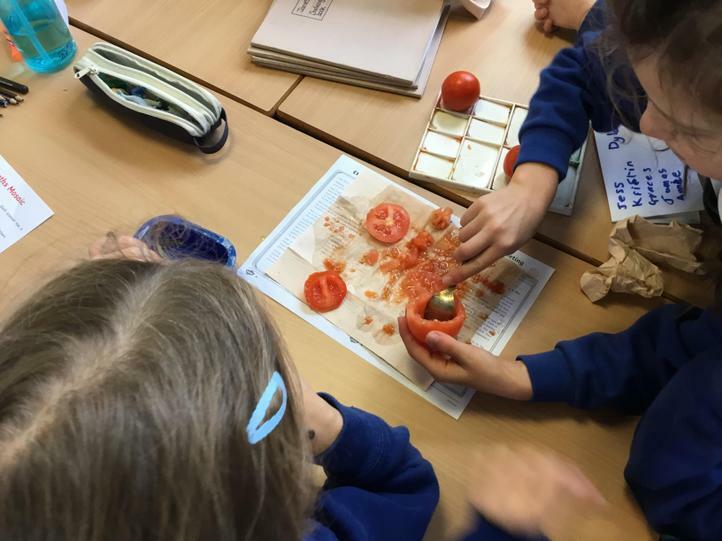 The salted tomato looked the best because the salt had dried it out! 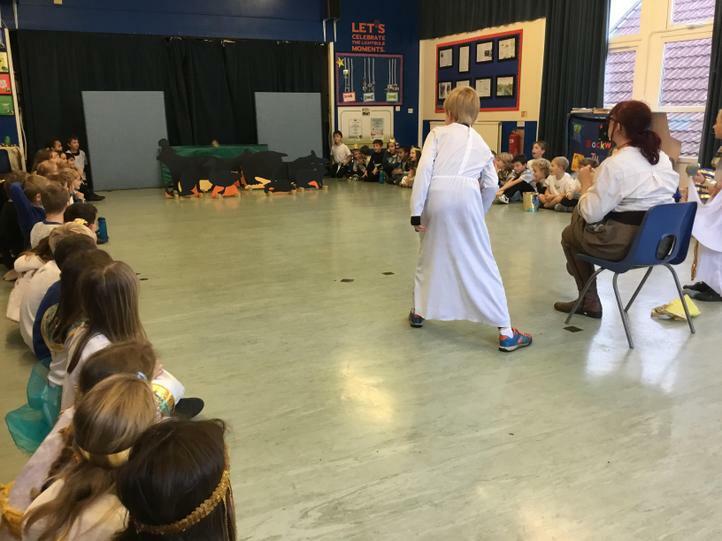 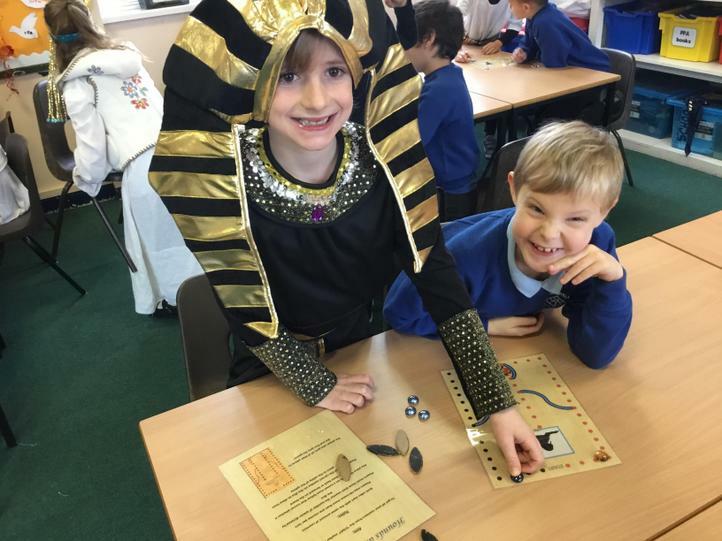 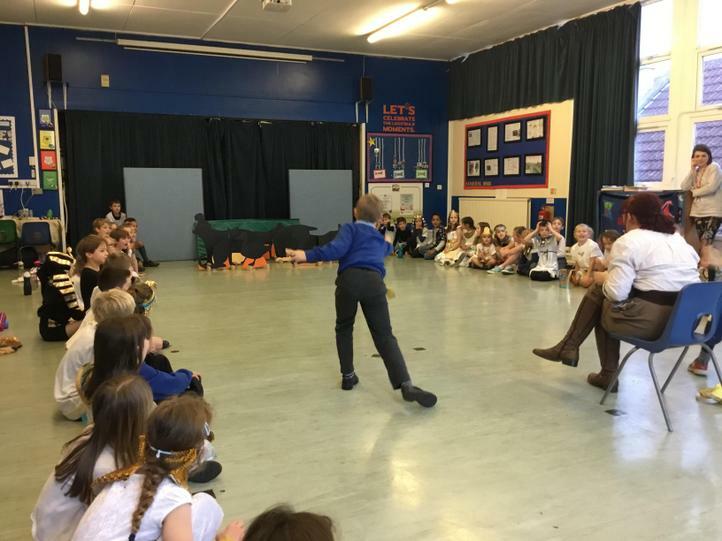 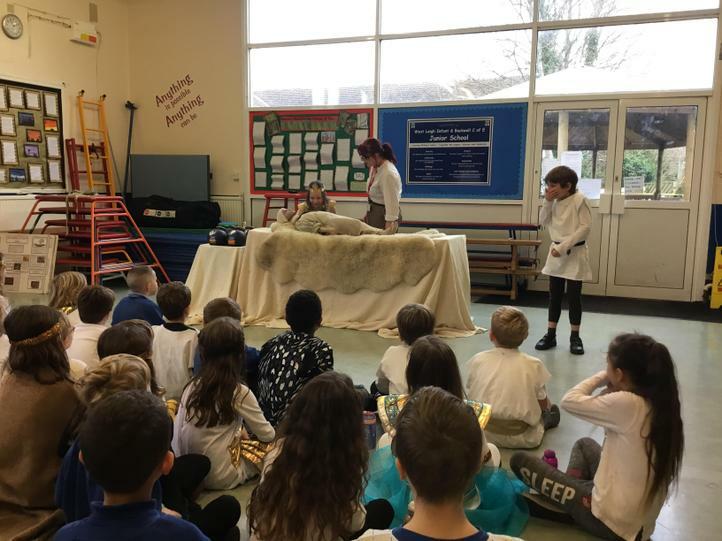 Towards the end of term 2, year three took part in their amazing Egyptian WOW day. 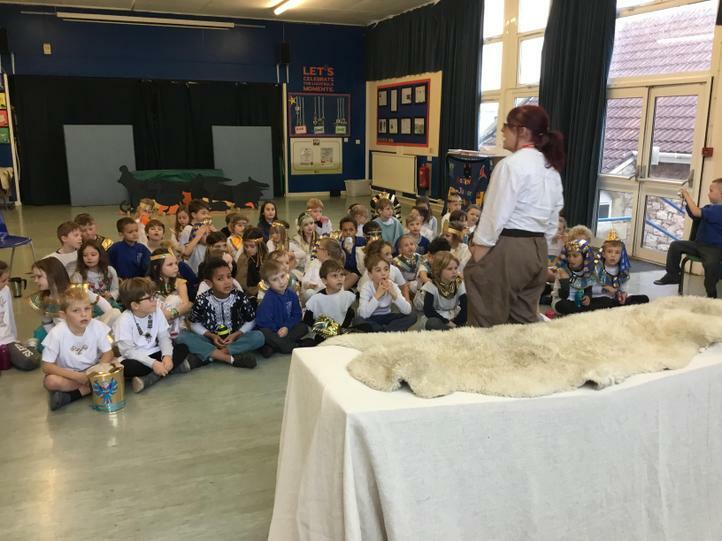 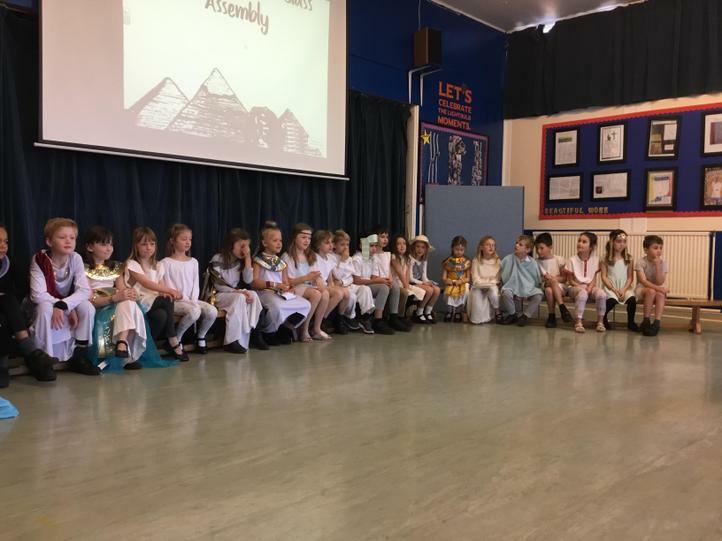 Year three met Doc – a fountain of Egyptian knowledge! 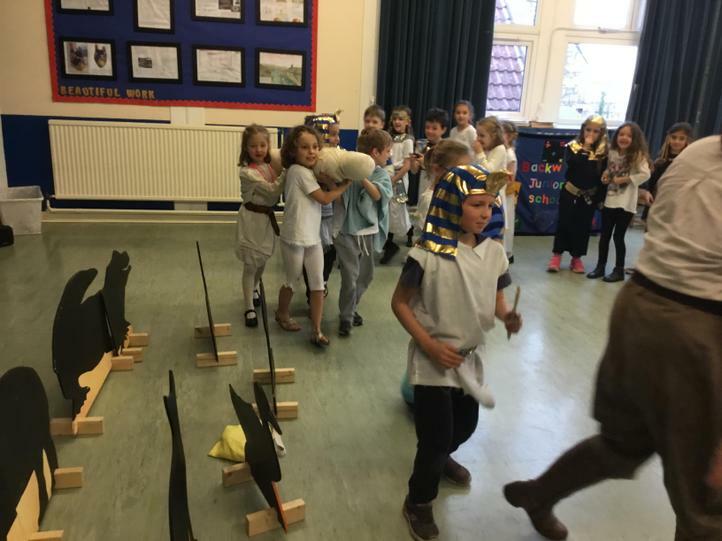 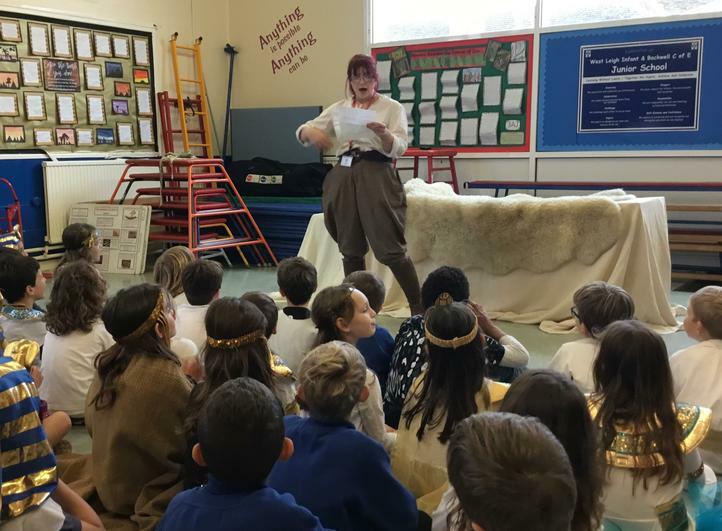 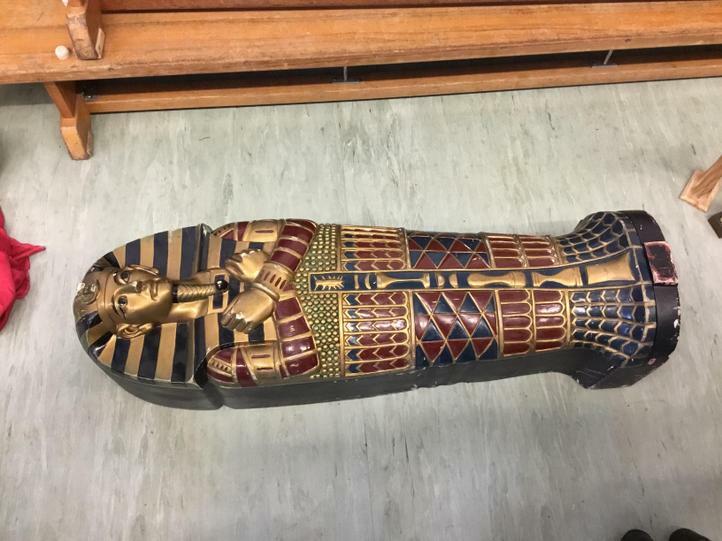 Throughout the day, year three took part in a quiz, Egyptian maths, played Egyptian games, watched a dummy be mummified!, took part in a burial parade and went hunting on the Nile! 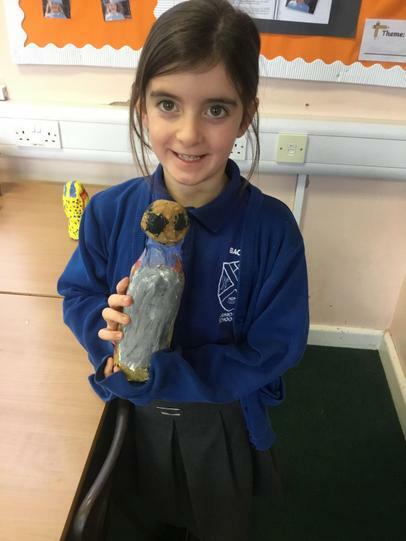 Because year three have learnt so much about mummification, Mrs J thought it was only fair that the children got to try and make their own canopic jars! 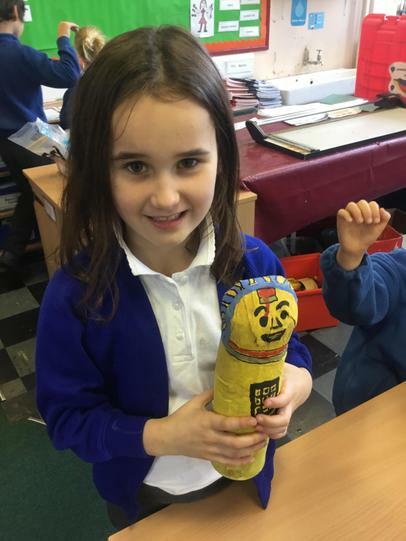 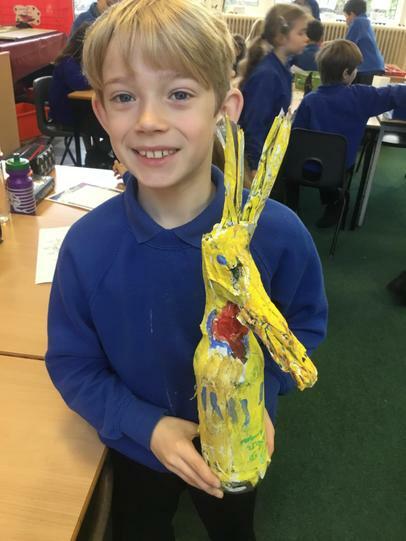 3AJ designed and then made their own canopic jars based on one of the four jars used in Egyptian times. 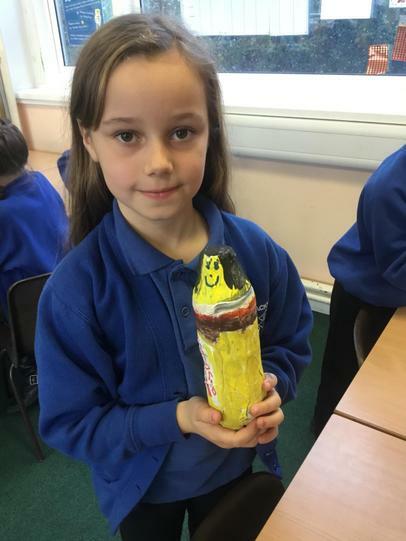 We had to use papier mache to make our jars (which was quite tricky!) 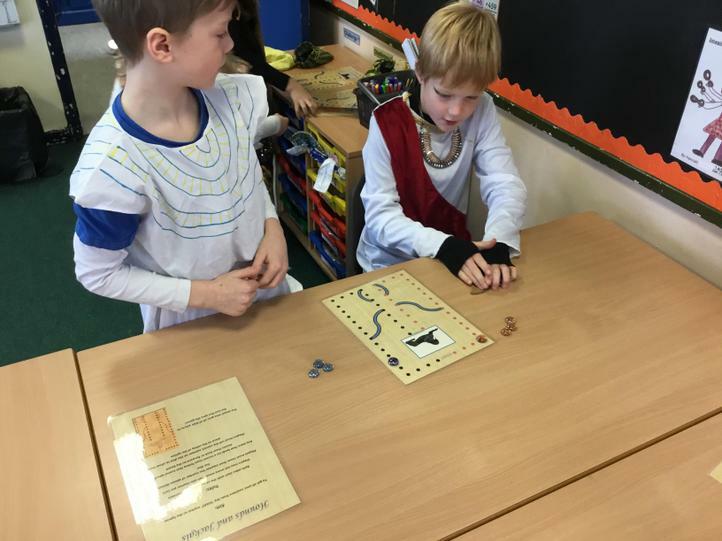 they turned out brilliantly! 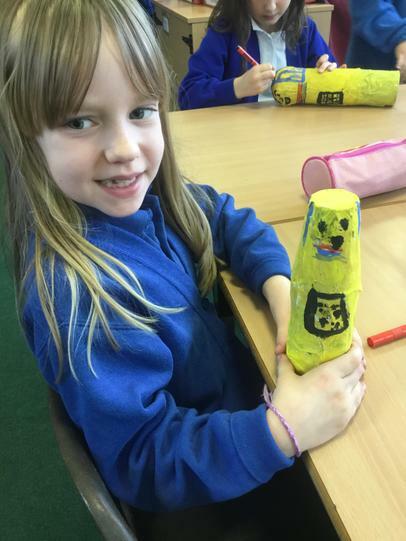 We can't wait to see what our new topic is in term three!